After the royal wedding, Prince Harry and Meghan Markle are set to move into their new home: Apartment 1 Kensington Palace. It’s called an apartment, but it’s really a 21-room wing in Kensington Palace. So, it’s actually not an apartment at all, but 21 rooms within the palace. Cool. Casual. According to Hello magazine, the expansive estate is currently occupied by the 73-year-old Duke of Gloucester and his wife, but since the two of them don’t need all that space, they offered to move out as soon as they heard of Harry’s engagement back in November 2017. Once Harry and Meghan announced their engagement, a construction crew immediately began renovating the roof over Apartment 1. Meghan and Harry currently live in the 2-bedroom Nottingham cottage that Harry has lived in for years — it’s also the same space that the Duke and Duchess of Cambridge lived in before they had kids. For the last few years, Will and Kate and the children have lived at Apartment 1A, which will make them neighbors with Meghan and Harry over in Apartment 1. The two apartments are reportedly linked by joining doors. 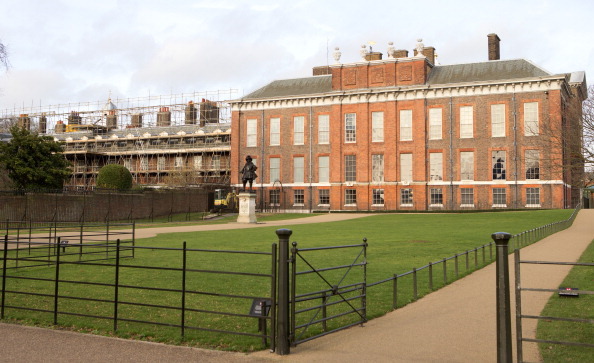 Here is a view of the construction over Apartment 1A back in 2013 when the royal family prepped the palace for Will and Kate’s move-in date. Tbh, we’re mostly obsessed with the decor inside Apartment 1. Is the renovation just to the exterior or will the inside get a face-lift as well? 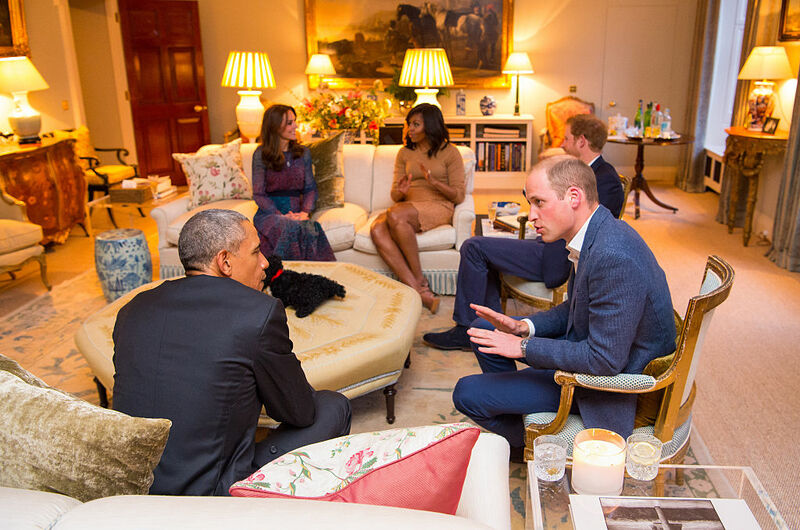 When Barack and Michelle Obama visited the royals in 2016, we saw a glimpse inside Will and Kate’s Apartment 1A, so…we’re guessing Meghan and Harry’s place will look similar. But maybe Meghan will do some renovating to that decor. She is a more modern royal, after all.